The orange beanie is finished and ready to be sent off to it's new owner... one very courageous (and orange obsessed) blogging buddy Tracy, who had all of her hair shaved off over the weekend for a very good cause. Read more about it here. Good on you Tracy - you are an inspiration!!! p.s. beanie pattern adapted from this one. would you like to try my egg "hats" (cozies) pattern? Let me know and I'll send to you, I would love for you to share with your readers, I love your blog. 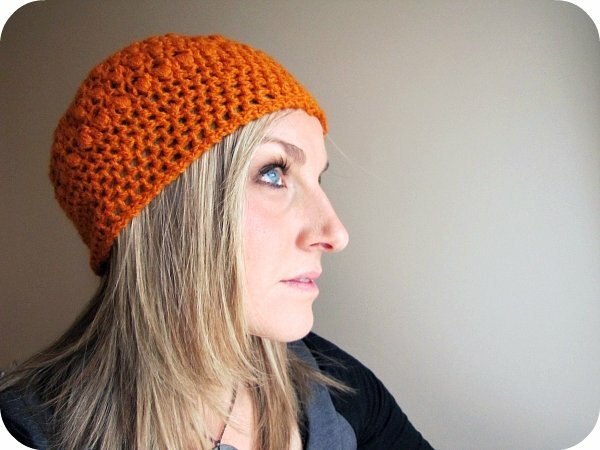 Very nice hat, trendy color too!